Following a detailed assessment process, €5.738m was awarded to 119 radio and television projects under Round 32 of the Scheme. In excess of €5.1m was awarded to 29 TV projects; while 90 successful radio projects will receive €633,000. A total of 222 applications requesting approximately €19.8m were submitted for assessment under this round of the Scheme. • A three-part TV documentary project “John Connors’ Acting Academy”, for broadcast on RTÉ 2, which aims to focus on young people from marginalised communities who may not get the opportunity to be on screen. • A feature length female-led comedy drama project “Cutters” based in an inner-city hair salon in Dublin. • “State of Flux” for broadcast on Oireachtas TV, which is a bilingual education project that examines the Treaty debate by blending drama and documentary, offering behind the scenes artistic insights. • A cutting-edge three-part science and nature documentary series for TG4, “CSI na hÉireann”, which will explore extraordinary human stories from different times in our past. • A four-part TV series “Prison Breaks” for broadcast on Virgin Media One, which examines the Prison Entrepreneurship Programme in Wheatfield Prison and aims to offer audiences an alternative perspective on criminals and their rehabilitation, while also documenting the reality of life on release. In the upcoming round of Sound and Vision (Round 33), the BAI is encouraging the submission of projects that tell/relate to women’s stories. While this round is open to all submissions that fit with the general scheme criteria, a particular focus will be given to applications that relate to women’s stories. In doing so, it is seeking to provide an opportunity to widen the narrative, present new female characters to Irish audiences, and generally promote different stories and different voices. Further information is available in the updated guide for applicants and in the application form on the BAI website. 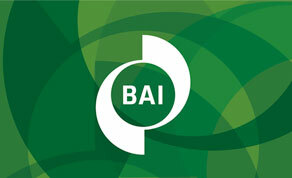 The BAI will now commence contract negotiations with all successful applicants. A full list of the projects being offered funding is available to download on the BAI website.